In an earlier article we discussed the use of MMS in the retail sector. Extending that thought further is the use of MMS for fashion and beauty brands. It makes perfect sense that fashion and beauty brands, or indeed the advertising agencies that represent them, would want to use MMS over SMS. The visual element of MMS enables them to maintain consistency of branding across their other channels such as print, social media and television. Why use plain text when you can add that ‘wow factor’ with imagery, colour and movement? Furthermore, in an earlier blog article, we discussed how the power of imagery can help to influence consumer buying decisions. It is encouraging to hear of numerous examples of MMS being used in the fashion and beauty industry with great results. 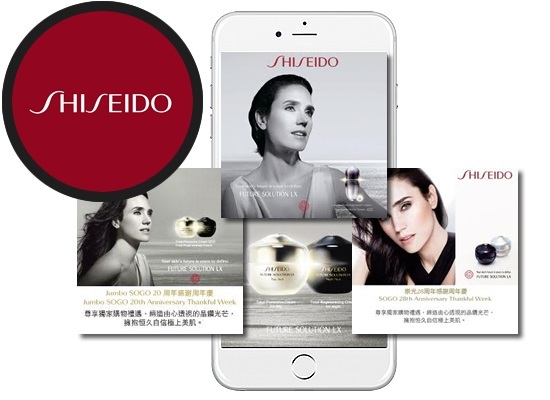 Key2cell are an MMS provider with their own gateway in Hong Kong who have ran some interesting MMS campaigns for beauty brands such as Paco Rabanne and Shiseido. They have used MMS for invitations, product announcements, promotions and more. If you have any other comments or questions, or would like to share your own successes with MMS in the fashion and beauty industry, then free to leave a reply in the comment box below.